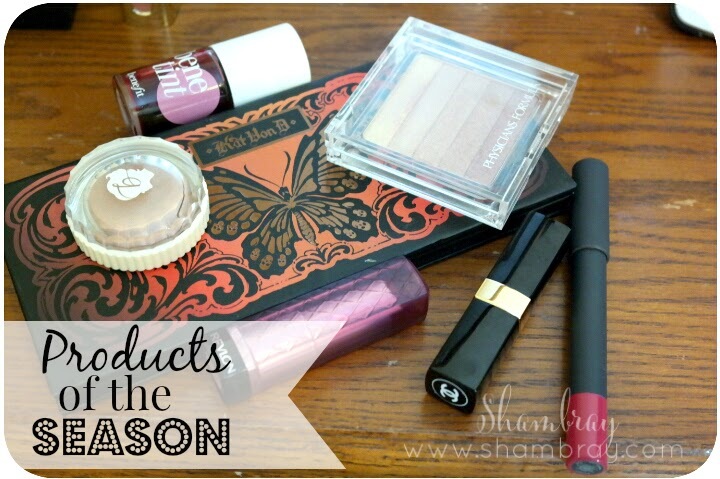 Today I would like to Share My favorite makeup colors and products for this time of the year. Burnt oranges, berries, reds and sparkling browns are my go to's! One of the best eye-shadow palettes I've ever tried the the Kat Von D Monarch. The pigmentation of this is amazing and the shadows are so buttery and blendable. The colors in this are perfect for this time of year, you have every color you would need in this for a complete look. 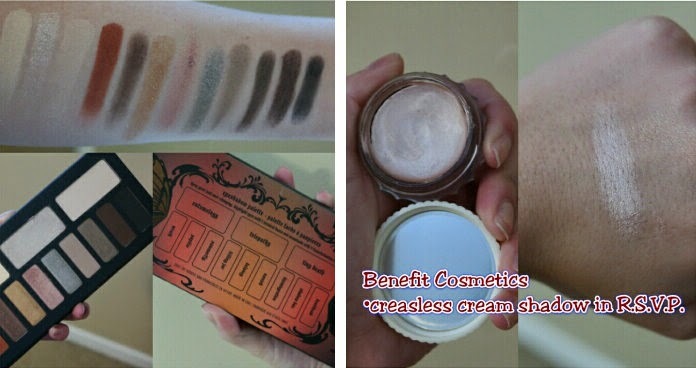 I also love to use Benefit cosmetics crease less cream shadow in R.S.V.P. alone or under these shadows. This post contains affiliate links, which means I receive a very small commission if you make a purchase using any of the links. However, all opinions are 100% my own. I love flushed cheeks in the colder months. Benefit Benetint is absolutely fantastic. This can be used on the cheeks or the lips. I like to use it mainly on the cheeks. This is a stain so the staying power is great. 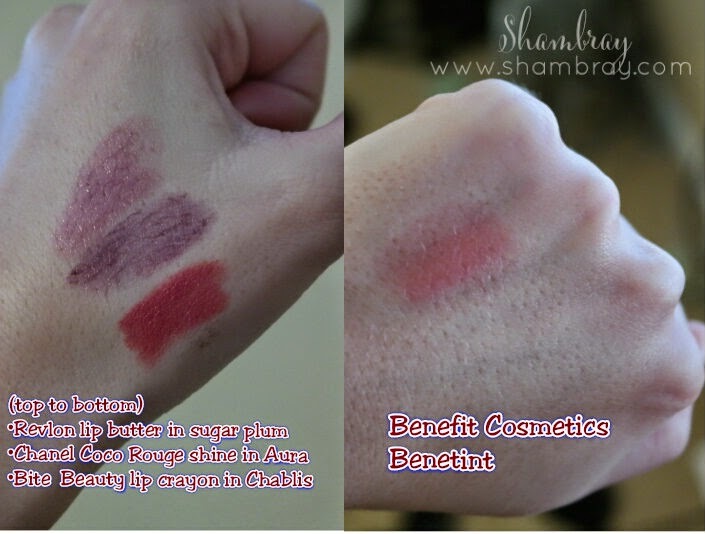 This usually will last through an entire work day and then some (Swatch with lip products below). 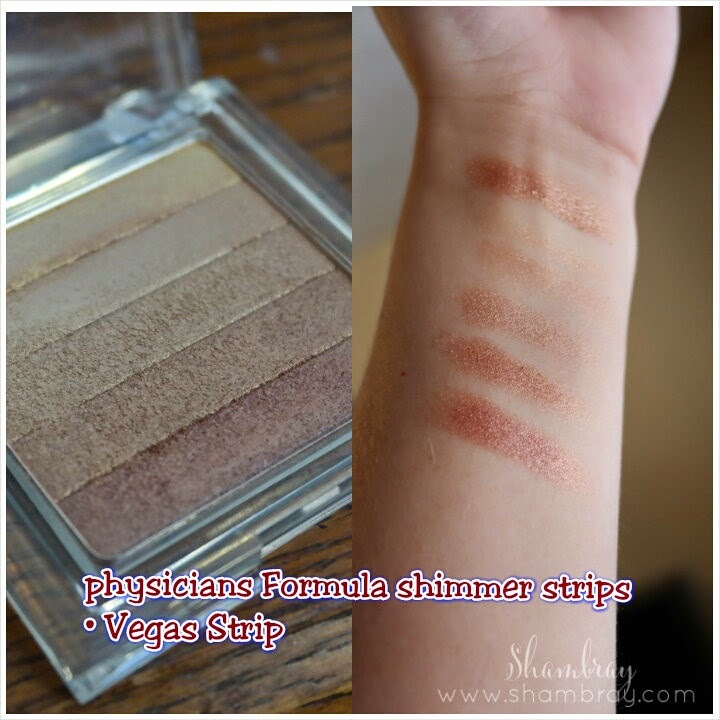 I also love the Physicians Formula shimmer strips in Vegas Strip as a highlight. This is also a two in one product. It goes great as eye-shadow , which works really well with the Kat Von D palette. Lip products, my favorite part! I love to wear a berry colored lip or some variation of red. Revlon lip butters are hands down my favorite. My go to color is Sugar Plum, which is a sheer plum color. The great part about these lip butters are that you do not need a mirror to apply these! Then when I am feeling like wearing something a little more fancy I pull out my Chanel Coco Rouge Shine in Aura and this is a deep plum color that is sheer but still gives enough color to the lips. Lastly but certainly not least, Bite Beauty high pigment pencil in Chablis. This is about as red of a lip color I can go and still feel completely comfortable.